Lu Gang recalls his first sighting of a colorful bee-eating bird eight years ago as his train pulled into Haikou station in tropical Hainan province. When he got off the train and went to look for the bird, he found dozens of them nesting in a sandbank near the station, mostly the chestnut-throated variety but also a few bluethroats. As a birder and a conservationist, Lu is fascinated by beeeaters. Every year since 2010, from March to July, hundreds of bird-watchers from across China come to see them. "The bee-eater is an indicator of how well we have protected our wetlands and environment," said Lu, who has worked to protect the forest and local species for a decade. According to the Hainan Birdwatching Association, Jinsha Bay in Haikou, an important breeding ground for beeeaters, faces many threats. Encroaching urban development, sand mining and pollution from farming have done untold damage to the birds' habitat. A recent real estate development worries Lu and other bird-lovers, with nearby ponds and marshes set to be drained. "I have studied waterfowl for 10 years, and I find the number of winter migrants in Hainan to be declining, even though the island is covered in thick forest and is home to a few of birds endemic to the country," Lu said. He attributes the decline largely to real estate development and quarrying. Conservationists, environmental volunteers and birders are well aware of the threats and frequently make statements to the media or report problems to the government. But the development continues. "We won't just stand by and watch these birds perish. 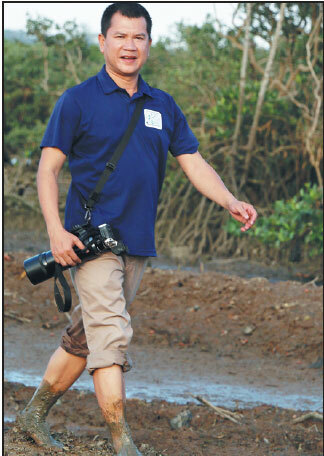 It is the government's decision whether to call a halt to the destruction or to allow it," said Cheng Cheng, director of the bird-watching association. Such reports are taken seriously by the Haikou city government. In 2016, it investigated the shrinking habitat of the bee-eaters and put an end to illegal quarrying. An eight-year plan to restore wetlands was issued in June. A wetland nature reserve, seven parks and 45 wetland communities will be set up under the plan. Jinsha Bay is on the list. In China, conservation has galvanized the government and people. A greener environment is a new goal, and the government has emphasized the need to preserve biodiversity. Lu said the government has made great efforts in conservation and would benefit by drawing on the experience of people and organizations with expertise in specific areas, such as bee-eater protection. While the wetlands plan is being reviewed by the public, the Paradise Foundation, a conservation group, is sponsoring 18 individuals and organizations to privately protect areas using their own capital and wealth of experience, as well as new technologies. Lu was one of those chosen, and he immediately recommended that the local government establish a protected area in Jinsha Bay. 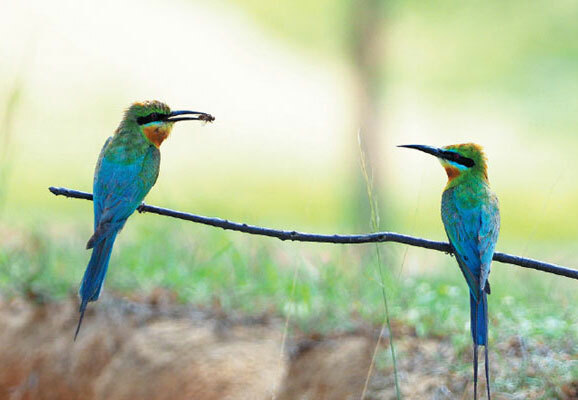 "If both development and habitat protection are handled properly, the bee-eaters will flourish. Real estate surrounded by a vibrant environment will be worth much more," Lu said. Haikou is keen to work with the foundation to put the wetlands plan into practice, protecting and restoring its 29,000 hectares of wetland, said Zhang Qi, Party chief of Haikou. The Paradise Foundation helped found the country's first land trust reserve, a home for giant pandas in Old Creek Nature Reserve in Sichuan province. By purchasing a variety of leases, the foundation and the government have put 110 square kilometers under protected status. The reserve not only protects the environment and various species, but includes sustainable farming. Lu is confident that more wetland communities can be founded in Haikou, and wants to include as many as possible in the plan. "The government is on our side, setting aside land for protection and promoting this model across the province," he said.